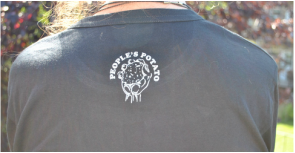 We have t-shirts - made and printed in Montreal - for sale. 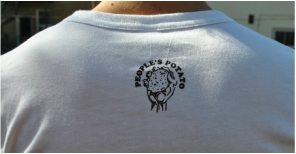 Black or white, garlic or spiced oil design, with the People's Potato logo on the back. X-small, small, medium, large and X-large. $10 dollars.